I have a friend who collects Isle of Wight memorabilia. I found an IOW sand bottle in a charity shop and dressed it up a bit, adding some charms and paper cut initials of her and her husband. After almost 5 years since I last opened the project, I'm reviving this idea. 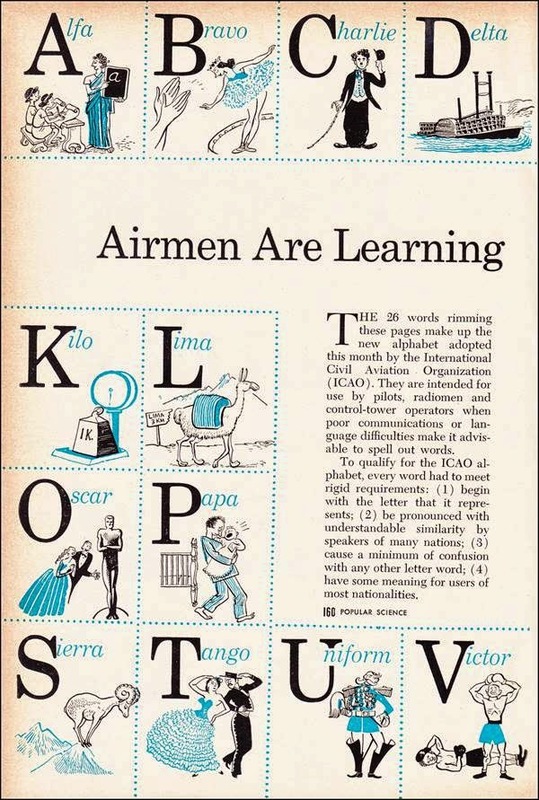 This is an original 1956 two-page two-color print article about the airmen's alphabet for pilots that was developed by ICAO and illustrated through a series of cartoons by Artist Carl Rose. 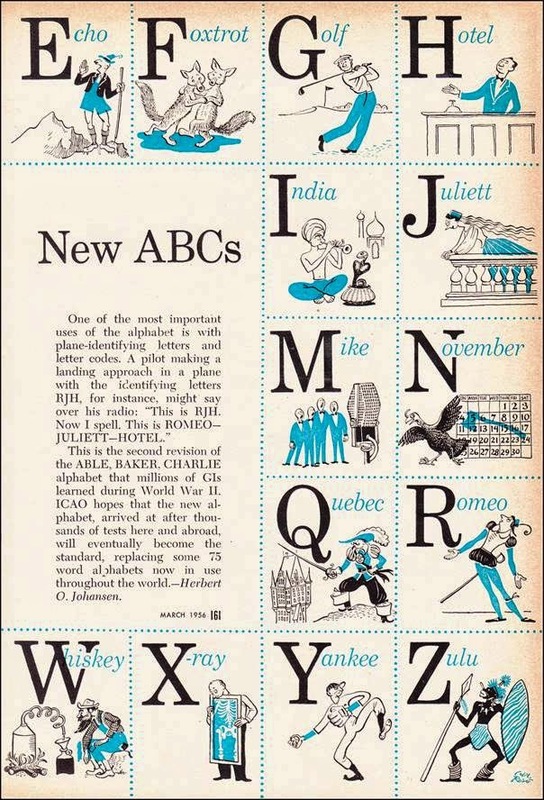 Carl Rose (1903 – 1971) was an American cartoonist whose work appeared in The New Yorker,Popular Science, The Saturday Evening Post, and elsewhere. I'm pleased I illustrated mine before I saw this so I wasn't too influenced. I'm also comforted to see they came to the same conclusion as I did about 'Mike' being represented by a 'mic'. Also, I notice this is American, because of the turkey in November. I've always had it in mind to try to keep mine as internationally recognisable as possible.